Jack Kahl has been recognized globally for his innovative approach to business. He was named one of “America’s Most Admired CEOs” by Industry Week magazine in 1993. Inc. Magazine honored him as one of three CEOs in America to benchmark leadership practices, and Cleveland Magazine named him the “Best Boss in Town” in 1996 and 2000. Jack earned these accolades as an entrepreneur and the creator of Duck® Tape. He used servant leadership and a caring culture to grow his company, Manco, Inc. from a small industrial tape distributor into a leading global consumer products company. He bought Manco with $10,000 cash and an $182,000 loan in 1971, and sold the business to the Henkel Group nearly three decades later when sales topped $180 million. Under his leadership, Manco was the first company to receive three Wal-Mart “Vendor of the Year” awards and OfficeMax’s “Vendor of the Year – Supply Chain” Award. Manco was also one of the revolutionary companies featured in Jim Collin’s best-selling book, Built to Last. Jack was one of the founders of the Irish Garden Club which updated and enhanced the Irish Cultural Garden. 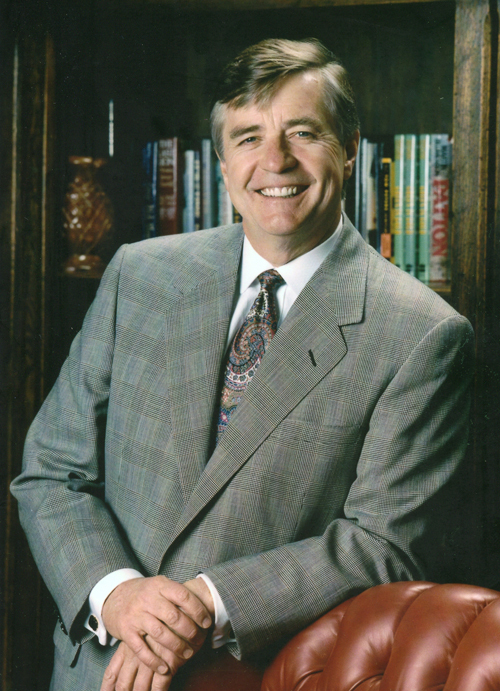 Jack serves on the boards of several private companies. Jack has been the keynote speaker for conferences and companies around the globe, including IBM, AT&T, KPMG, and Michael Hammer’s Reengineering Conference. He also has lectured at business schools around the country. In addition, he has been featured in the Wall Street Journal, USA Today, Industry Week, CEO Brief, Forbes, Fortune Small Business, and Inc. Magazine, talking about Manco and his visionary approach to business. Jack is a strong supporter of education. 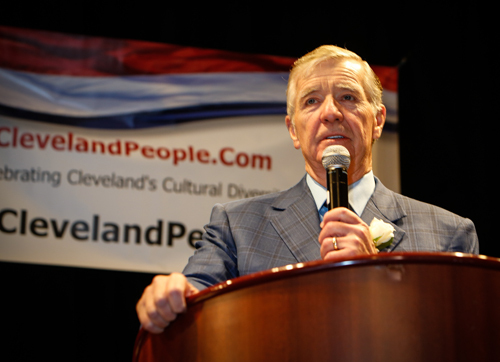 He currently serves on the Board of Trustees at John Carroll University and St. Edward High School in Cleveland. He was named “Outstanding Alumnus” and “Alumnus of the Year” at both institutions. John Carroll University established a “Kahl Chair in Entrepreneurship” in 1998. St. Edward High School dedicated its new student center, the “Jack Kahl Student Life & Leadership Center” in 2000. He is the former chairman of Students In Free Enterprise (SIFE), an organization that reaches more than 800,000 college students. SIFE dedicated a wing of its new world headquarters the “Jack Kahl Entrepreneurship Center” in 1999. Jack is the proud father of five children and thirteen grandchildren. He currently resides in Avon Lake, Ohio. Jack was inducted by Dan Coughlin. 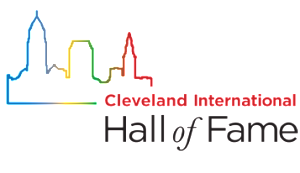 Video 1: Dan Hanson of ClevelandPeople.Com introduced Cleveland sportswriter and TV personality Dan Coughlin at the induction ceremony for the 2016 class of the Cleveland International Hall of Fame. He told of Dan’s Emmy and other awards and his 3 books. Then he introduced Dan with a joke. 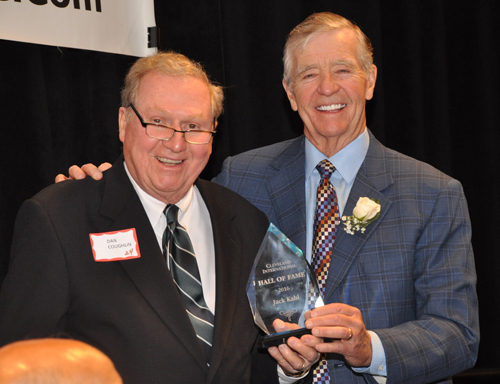 Video 3: Jack Kahl, former Manco CEO, was inducted into the Cleveland International Hall of Fame for his many contributions to the Irish community including support for the Irish Cultural Garden and Johnny Kilbane statue. 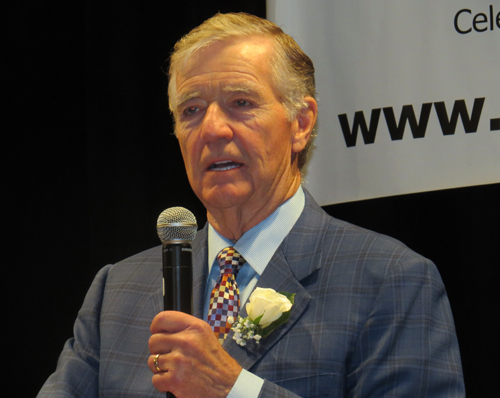 Jack tore up his prepared remarks and spoke from the heart as he accepted this honor.